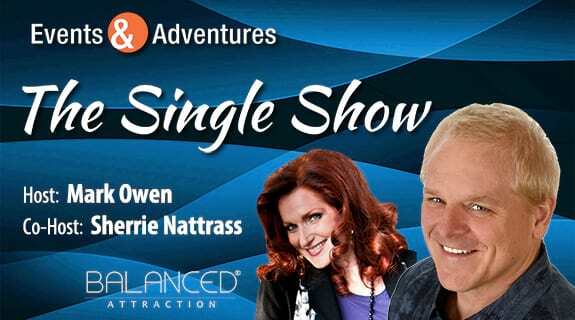 Events and Adventures Presents The Single Show, with Hosts Mark Owen and Sherrie Nattrass. The Single Show is not a reality show. It is a show about the reality of being single. Our show focuses on interests, questions and insights relevant to today’s singles. Our show features expert guests, ideas, contests, transformations and success stories. The Single Show is a resource for single people who are looking for ways to live happier, more fulfilling lives. Our core belief is that you are most attractive when you are relaxed and having fun!